Assembled from between 8,000 and 10,000 images that were captured with microscope lenses, each of these meticulously lit portraits of insects is full of rich detail. 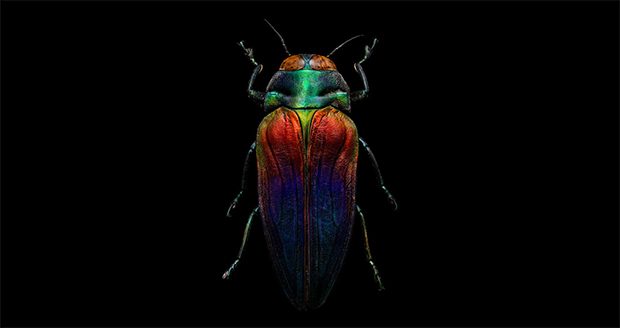 Photographer Levon Biss started photographing insects as a side project to his client work, but soon teamed up with the entomologists at Oxford University Museum of Natural History to translate their insect collection into stunning macro photographs. From May 27 to October 2016, Biss’ work will be showcased in Microsculpture, a special exhibition at the Oxford University Museum of Natural History. 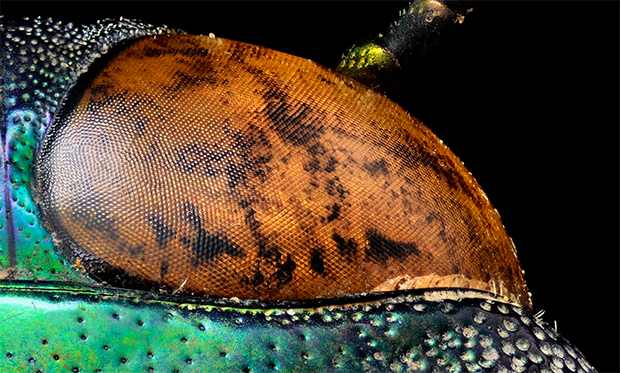 Update: Biss has released a beautiful new book called Microsculpture: Portraits of Insects. If you can’t see the exhibition in person, visit the site to get a closer look at the Tortoise Beetle, the Orchid Cuckoo Beetle, the Tri-Colored Jewel Beetle (above), the Flying Saucer Trench Beetle, and many more. Next, more art & science through photography: The Art of New York City’s Bacterial World, Fabian Oefner’s paint colors spun at high speeds, Plants and Insects Magnified Thousands of Times, and The 45th Anniversary of Earthrise.